Asthma is not just a health problem that’s on the rise, it’s literally out of control! 34 million Americans have asthma, and of this, 8 million are young children. Astonishingly, 6.2 billion dollars per year is currently spent on asthma medications in the U.S. alone and the Centers for Disease Control puts the total annual cost of asthma at a staggering 56 billion dollars a year. There are several reasons for the incredible spike in asthma over the years, and no, none of them have to do with the genetics/family history theory (yes it’s still just a “theory” so don’t take it as gospel just yet). #1. Lowered Immunity in Adults and Children: This is actually the main cause of asthma attacks (your doctor probably won’t agree with this but it’s true). When the immune system has been compromised (lowered) it reacts by producing an auto-immune response such as inflammation in the body, which in the case of asthma, causes airway constriction and then an asthma attack. Inflammation is a sure sign of a poor functioning immune system (asthma is actually classed as an auto-immune disease). The bottom line? Fix your immune system and you fix your asthma. #2. More Pollutants: Of course, more pollutants, contaminants and toxins in our food, water and air nowadays is going to have a big bearing on inflammation and asthma attacks in the body. So cutting out chemicals and artificial additives (or as many as possible) from the diet, along with reducing levels of dust, smoke, damp air, etc, within the home will also make a huge difference to asthma symptoms and breathing difficulties. #3. Asthma Medications: This is another one that your doctor won’t agree with but the facts don’t lie. Asthma medications disrupt the body’s crucial endocrine system and significantly lower the immune system. Regular use of these medications can produce the opposite desired effect, and instead, actually cause asthmatic reactions and make breathing worse! So reducing dependence on pharmaceutical asthma medications (by using natural alternatives) will go a long way to reducing the harmful side effects of these unhealthy, and potentially deadly drugs. #4. Obesity: Being overweight definitely affects your breathing and will contribute to asthma symptoms. Overweight individuals have reduced lung volumes and elasticity due to the narrowing of their peripheral airways. Excess stored body fat can also press against the lungs causing breathing difficulties. So losing weight and increasing lung capacity is also vital to reducing and eventually curing asthma. So What Exactly is Asthma and it's Symptoms? The word “asthma” comes from the Greek word aazein, which literally means sharp breath or to pant. It was first recognized and officially named as a respiratory disorder by Hippocrates over 2 ½ thousand years ago. 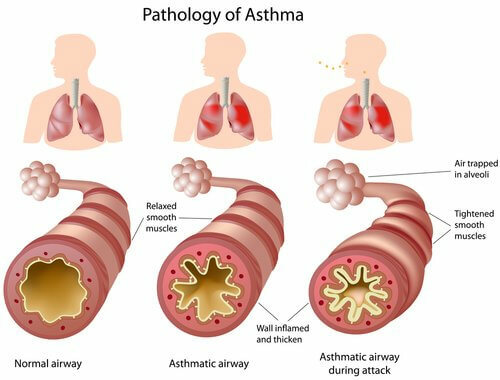 Asthma is classed as a chronic inflammatory disease of the airways that causes breathing to become constricted, often resulting in acute coughing, wheezing, and shortness of breath. This condition primarily occurs when the airways spasm and swell causing them to narrow and secrete mucus. This swelling and mucus plays havoc with the respiratory system, particularly the bronchial tubes, resulting in an asthma attack. The severity of an attack can range from minor to serious to life-threatening. Many people experience asthma as nothing more than a minor nuisance, while others can have severe attacks that greatly affect and disrupt their daily lives. Depending on the severity, an asthma sufferer may experience shortness of breath, chest pain and tightness, uncontrollable coughing, and whistling or wheezing as they breathe. In most cases, asthma is caused by inhaling an allergen that sets off a chain of biochemical reactions and changes leading to airway inflammation, constriction and wheezing. The most common triggers for an asthma attack include pollen, animal dander, mold, cockroaches, and dust mites. Other factors such as allergic reactions, air pollution, cold air, humidity, respiratory infections, stress, rigorous physical activity, and certain medications, along with sulfites and preservatives in food, can also trigger and exacerbate asthma symptoms. Over 3 ½ thousand people die from an asthmatic episode each year in the U.S. alone, so this condition is definitely not one to be taken lightly. Suffering an asthma attack and having your breathing severely restricted can be a very frightening experience, to say the least. Having your child or toddler, or other loved one, suffer a serious attack is even worse and can quickly turn a nervousness situation into overwhelming panic! Thankfully, there are some excellent natural and home remedies for asthma that work extremely well. We list 10 of the best here, including a powerful emergency asthma remedy you can have at the ready just in case of an unexpected attack. It works a treat! Yes, this emergency protocol sounds almost too simplistic, but it definitely works and works very quickly. If you or a loved one is in the middle of an asthma attack and you have no inhaler, then you need something to stop it right now. This remedy is it. Simply take a good sized pinch of ground up sea salt or Himalayan pink rock salt (do not use standard table salt) and place under the tongue. While the salt is dissolving, drink an 8-10 ounce glass of clean, filtered water. For children, just get them to drink as much water as they can. And that’s it! Now with this remedy, you must make sure the drinking water is at room temperature (cold water can worsen breathing) and the sea salt is unprocessed and organic if possible. If the pink rock salt is Himalayan, it will already be unprocessed and organic. Placing the salt under the tongue stops you from inhaling it so you don’t further complicate your asthma attack. You may have read that salt can actually make asthma worse, but the research that’s been carried out on this was done using standard table salt, which does in fact make asthma symptoms worse. However, organic sea salt or pink rock salt combined with water and taken the right way, does the exact opposite and actually helps to quickly calm and open up the airways. If you’re still not convinced about this asthma remedy then consider this… Philanthropist and advocate of this cure, Bob Butts, decided to put up a $50,000 reward (on live radio), agreeing to pay any family $50,000 if this remedy failed to help or even cure their child of childhood asthma. To date, no one has taken him up on the challenge. Apple cider vinegar (ACV) is an old folk remedy for asthma - particularly for the wheezing and coughing - that really does give incredible results. In fact, it works so well that you’ll start to see an improvement in your asthma symptoms in as little as one hour! ACV is not only a very powerful immune booster, it also helps to balance out the body’s acid/alkaline levels (pH) to quickly reduce inflammation in the airways and break up phlegm. ACV contains some potent nutrients as well including potassium, B group vitamins, vitamin C and magnesium, which all help to support and heal the respiratory system. Many people who suffer from asthma regularly suffer from acid reflux or GERD (over 75% in fact). Acid reflux is also a prime culprit for bringing on an asthma attack as it causes the airways to constrict and narrow. Apple cider vinegar is extremely good for relieving GERD symptoms, which of course then helps to relieve your asthma symptoms. So folks, if there’s only one home remedy for asthma (and for overall good health) you decide to use as a permanent fix, this is definitely it. Even the great man, Hippocrates, way back in 500 BC regularly used apple cider vinegar on his patients and considered it his #1 “cure all” medicine! So there are basically two ways to get your apple cider vinegar every day. You can either take the liquid ACV or the capsules. The liquid is much more cost effective, however, some people simply cannot stand the taste of the liquid and actually gag on it. If this is you then go with the ACV capsules instead (for dosages, take the maximum amount listed on the bottle). If you don’t mind the taste of the liquid then simply mix 1-2 tablespoons of organic ACV in a glass of warm, filtered water and drink down (half the amount for kids and half again for toddlers). Or if you prefer, you can take it straight up in a shot glass. Do this 3 times a day, 10 minutes before each main meal (on an empty stomach). You should also try adding a teaspoon of natural or Manuka honey to the mix for extra benefit and taste. Honey is a terrific remedy for asthma as well. One of the oldest known cures for this condition in fact! Mix 2 tablespoons of organic apple cider vinegar, 2 tablespoons of cranberry juice, 1-1 ½ cups of water and 2 teaspoons of maple syrup or natural honey in a mock tail pitcher, then serve. This is extremely crucial. The ACV you buy MUST still contain the “mother” apple (it will tell you on the bottle) and must be organic. Processed ACV’s of any kind are useless and will not work. Here’s some of the best ACV’s on the market if you’re interested… Apple Cider Vinegar Liquid & Capsules. Oh and finally, remember this… You don’t take ACV like you do a prescription. If you want to keep your asthma away, you must take the apple cider vinegar every day for the rest of your life! And the great thing is by doing this, you will not only cure your asthma for good, you'll also be much healthier and rarely ever get sick again! The hydrogen peroxide inhalation (inhaler) therapy is also a very powerful - and dirt cheap – natural remedy for asthma. In fact, this one works so well that you’ll usually start to feel better and start breathing easier (reduced wheezing and coughing) in just a few minutes! It really does work that quickly. What the hydrogen peroxide does is basically “oxygenates” the lungs. And of course, more oxygen in the lungs means much better and easier breathing. Thankfully, this treatment is now even being recommended to asthma and emphysema (COPD) patients by many doctors. When something works so well for so many people, how can you deny it! What’s surprizing about this asthma remedy is it’s actually been around since the 1800’s, but has been made famous more recently by a guy named Bill Munro. Bill has helped thousands (including himself) restore their health through the use of his H2O2 treatment. And don’t be scared off by using this remedy either (no matter what “scare tactic” articles you may have read). Hydrogen peroxide is very safe as long as you use the 3% food grade variety such as this one... Essential Oxygen+ Hydrogen Peroxide. You can also buy hydrogen peroxide from most pharmacies and drug stores. Just make sure it’s 3% food grade though. According to vitamin D expert, Dr Joseph Mercola, a vitamin D deficiency is one of the root causes of asthma, especially childhood asthma. There have been several in-depth and well documented studies proving that a lack of vitamin D causes respiratory disorders such as asthma (you can read about them here) and by rectifying vitamin D deficiencies within the body, you can almost completely eliminate this health problem. When you consider that asthma is primarily caused by inflammation and low immunity, and vitamin D fights inflammation and significantly boosts immunity within the body, you can understand why this nutrient is so crucial for the prevention and treatment of asthma and its related symptoms. You Actually Need More Daily Vitamin D Than You Think! You can read more about correct vitamin D dosages here… Mercola.com. So to receive the required amount of vitamin D each day you and/or your child will need to get some regular sunshine (roughly 20 minutes per day) and take vitamin D3 supplements. The great thing about this is they now make vitamin D liquid drops for infants/toddlers and older children, so there’s no problem getting the required amount into your child every day (and they taste good too so there’s no kicking and screaming to go with it!) For adults and teenagers, the vitamin D3 capsules are the easiest and most cost effective to use. Omega-3 fatty acids contain some of the most powerful anti-inflammatory and immune boosting substances yet discovered. They work extremely well for all inflammatory and immune deficient diseases, including asthma. Omega-3’s reduce airway inflammation and open up bronchial tubes to quickly relieve wheezing, coughing and difficult breathing. 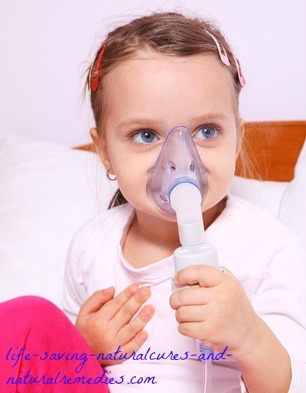 For children and little ones with asthma, they are particularly effective and can provide relief in just a few hours. 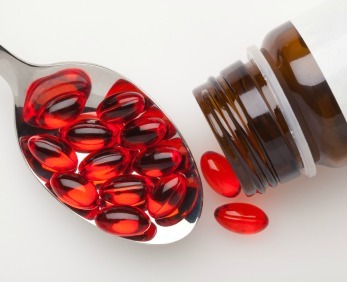 Krill oil and cod liver oil are definitely the best sources of omega-3. And they contain extra natural vitamin D too! You can also purchase krill oil for kids and even cod liver oil for kids. For adults and teenagers, you’ll need the high strength formulas. Magnesium is a very strong bronchodilator and antihistamine. So what it does is it reduces histamine levels in the body and also has a calming effect on the muscles of the bronchial tubes so they naturally open up and dilate. Both histamine production and bronchial spasms and tightening increase significantly when you have a magnesium deficiency. Magnesium is also the most basic of all anti-inflammatories, yet doctors rarely prescribe it to their patients, and virtually never to their asthma patients. A recent study published in the Journal of Asthma (Kazaks et al, 2010) looked at the effect of 6 months of magnesium supplementation (170 mg's taken twice daily with food) on pulmonary function tests, asthma control, and quality of life in patients with mild to moderate asthma. Researchers reported magnesium significantly improved the rate of asthma attacks, along with improving their symptoms and quality of life. Because magnesium has now been almost completely leached from our food crops and soils (and therefore our foods), supplementation is absolutely necessary. However, the magnesium contained in most supplements on the market is a cheap form and is not highly absorbable. a. Transdermal Magnesium Spray: Magnesium is easily absorbed through the pores of the skin and a transdermal oil spray is the best way to do this. The magnesium in magnesium oil is 100% absorbable by the body! Here’s what these sprays look like… Transdermal Magnesium Spray. b. Natural Calm: If you or your little one doesn’t like the feel of the oil on your skin then a wonderful product called Natural Calm is the next option. This stuff is amazing and the magnesium it contains is highly absorbable. And not only will you be able to rid yourself of your asthma with this food, you’ll find yourself much more relaxed and you’ll start sleeping like a baby! You can check it out here… Natural Calm. Having a healthy supply of good gut bacteria is essential for the prevention and treatment of asthma in all adults and children, regardless of age. Over 70% of the body’s immune system and immune response is actually located in the gut! So a healthy digestive system means a healthy immune system. And of course, boosting the immune system and keeping it strong is essential for preventing inflammation in the body and successfully treating auto-immune diseases such as asthma and allergies. In fact, replenishing the daily supply of probiotics and pre-biotics in the gut (yes this must be done daily) will make such a massive difference to you and your child’s overall health, and asthma symptoms, you’ll scarcely believe it! Culturing and fermenting foods such as sauerkraut, kefir, kombucha, and yogurt has now become a very popular pastime. Fermented foods are loaded with healthy gut probiotics that are all in a highly usable and absorbable form. And what’s great about culturing your own foods is it’s very easy to do (once you get the hang of it) and the food tastes terrific! All you need to do is follow a few basics. The hardest part though can be getting the kids to eat or drink cultured foods if they’ve never had them before (they can taste quite bitter). To get around this, you can make simular food and drinks to what they’re already having right now, but make them “probiotic friendly”. They’ll hardly know the difference and will actually grow to love these more than the old stuff! Here’s a great website on how to make some kid friendly fermented foods… The Nourished Kitchen. In addition to this, it’s also a good idea to take a good quality probiotic supplement every day just to make sure you’re giving your gut the healthy bacteria it needs. Remember this… Your gut can never have too many probiotics. Ever! In fact, the more the merrier! There are loads of probiotic supplements out there now and you can easily get them from most health food stores, pharmacies (drug stores) or online. There are also plenty of children’s formulas available. Just make sure you go with a reputable brand and not one of the cheaper brands. When it comes to probiotic supplements, you really do get what you pay for. Ginger: Ginger is one of the most effective herbs for treating the symptoms of asthma, especially the awful wheezing and coughing. It contains anti-inflammatory compounds that help to smooth and relax muscle tissue in the airways. 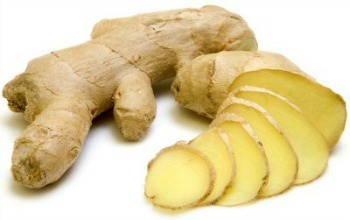 Ginger is also renowned for its ability to break up phlegm and boost the immune system. You can easily make your own ginger and honey tea each day by adding a couple of slices of fresh ginger to a cup of boiled water. Leave to steep for 20 minutes before removing the ginger and adding a teaspoon of natural honey. Sip slowly and enjoy. Licorice: Licorice contains some potent immune-boosting properties. It also reduces inflammation of the bronchial tubes due to the anti-inflammatory effect it has on the lungs. When suffering an asthma attack, make yourself a nice hot licorice root tea with a teaspoon of honey. It works extremely well. Skullcap: Two particular chemicals in skullcap, baicalen and baicalein, have demonstrated powerful anti-asthmatic activity. They help to inhibit histamine release from mast cells in the lungs, making breathing easier. Scullcap is available in capsule, liquid or tea form. Ginseng: In laboratory studies, ginseng has been found to repair damaged lung tissue. It also contains excellent anti-inflammatory and anti-allergic properties and is routinely recommended by herbalists for treating asthma wheezing and shortness of breath. Red ginseng is definitely more effective than the white versions. You will usually find this herb in most formulated asthma herbal remedies. Oregano: Oregano contains lung-cleansing agents, along with some strong anti-inflammatory chemicals. It’s renowned for quickly reducing the swelling and inflammation of the bronchial tubes and respiratory tract, making breathing much easier. When suffering from asthma, drink oregano tea twice daily by steeping 3 teaspoons of oregano in a cup of boiling water for 20 minutes before straining. Add some natural or manuka honey. Drink slowly. Stinging Nettle: This herb is particularly good for treating allergy related asthma. The naturally occurring anti-inflammatories and antihistamines contained in stinging nettle help dilate bronchial tubes and clear the nasal passages to reduce wheezing, coughing and shortness of breath. It’s also a very good immune booster. You can buy stinging nettle tea from most health food stores or online. Ginkgo Biloba: Ginkgo biloba is one of the most popular herbal remedies used in Asia. A study performed back in 2007, and published in the Journal of Huazhong University of Science and Technology, found that the extracts of ginkgo biloba helped to relieve airway inflammation and mucus build up. Ginkgo appears to block the action of a substance called 'platelet activating factor' (PAF), which is believed to be a prime suspect in the onset of asthma and asthma related symptoms. The normal dose for ginkgo biloba is 120-240 mg's of the standardized extract each day. Butterbur: This age old remedy is one that Dr Mercola regularly recommends for treating asthma. There’s even evidence to suggest that butterbur was being used to treat asthma and colds as far back as the 17th century! Along with inflammation, two substances - leukotrienes and histamines - are primarily responsible for the onset and escalation of asthma. Butterbur has been found to inhibit these compounds, and in turn, provide quick relief from asthma symptoms. Tumeric: This yellow colored cooking spice is considered a first-rate anti-inflammatory and antioxidant. 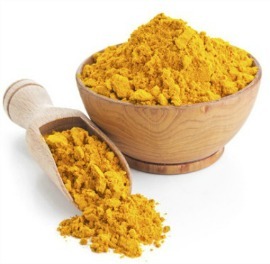 It contains some strong compounds, particularly curcumin, which inhibit the release of COX-2 prostaglandins. These hormone-like substances are one of the main instigators of inflammation in the body, including inflammation of the bronchial tubes and respiratory tract. In one study, 77 people suffering from asthma were given 500 mg's of curcumin twice daily for one month. Results showed the curcumin helped to improve airway obstruction and breathing in all participants. Because turmeric works so well at reducing inflammation, it’s considered a standard herb/spice for all asthmatics. You can buy high strength turmeric (curcumin) extract capsules from most health food stores. Quality tumeric powder (not the cheap rubbish) can be bought from most well stocked herbal vendors. Use it in your cooking as much as possible, along with making yourself a nice turmeric tea to drink every day (here’s an easy recipe). Heat 1 teaspoon of mustard oil with a little camphor, then place in a bowl. While it’s warm (but not too hot), gently rub and massage on the chest and upper back. Do this 2-3 times daily to further help relieve the symptoms. Garlic: Garlic is one of the most popular medicinal herbs used in traditional Chinese medicine for asthma. Its powerful anti-inflammatory, antiviral and antibiotic compounds help to clear congestion in the lungs, nose and throat. Garlic is also an excellent immunity booster and helps fight the infections and allergy symptoms known to trigger asthma attacks. Eat 1-2 raw garlic cloves each day to boost immunity, along with using this great tasting herb in your foods as much as possible. The only down side to eating garlic is too much of it can make you smell like a garlic factory (at least the vampires will stay away!) The alternative is of course to take the “odourless” garlic capsules instead. Onions: Onions also contain high amounts of quercetin along with sulphur, both of which help to inhibit constriction of the airways and inflammation of the lungs. So be sure to eat plenty of cooked and raw onions (purple onions are the best eaten raw) to help keep your asthma symptoms and attacks away. Lavender Oil: A study published in June of 2014 showed that lavender essential oil can be beneficial for asthmatics. Its strong anti-inflammatory and anti-allergic properties were found to be especially helpful for asthma attacks caused by bronchial allergic inflammation. The best way to use lavender essential oil for asthma (and relaxation) is to rub 2-3 drops on your palms, then cup your palms and place over your nose and mouth. Spend 5-10 minutes breathing in the wonderful scent and aroma. You’ll be breathing easier and feeling more relaxed in no time! Cayenne Pepper: Famous herbal healer, Dr. Richard Shulze, once said… "If you master only one herb in your life, master cayenne pepper. It is more powerful than any other." 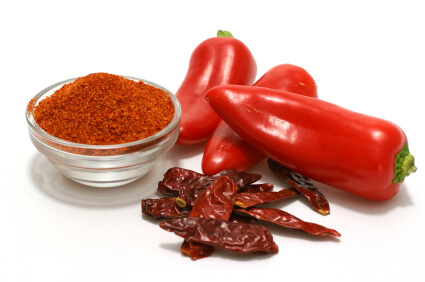 Cayenne pepper contains a potent substance called capsaicin, which stimulates phlegm secretion to quickly clear mucus from the lungs and sinuses. It’s also a strong immune booster and is excellent for curing the common cold or flu (it can be added to warm water and gargled for remedying sore throats as well). This is definitely one of the best herbs for relieving difficult breathing caused by an asthma attack. It’s also one of the hottest herbs you’ll find, so if you’re not use to having cayenne, our advice is to start off small and slowly build up! Begin by mixing ½ teaspoon of cayenne pepper in a warm to hot (but drinkable) glass of filtered water. Scull down and have another glass of cool water ready to drink afterwards. Do this twice daily and straight away when you get an asthma attack. Slowly build up to 1 full teaspoon 2-3 times per day to keep your asthma away. Because this remedy works so well, it’s definitely worth persevering with. You do get use to the heat of the cayenne pepper over time. And it works even better when it’s combined with the buteyko breathing method (see below). Buteyko Breathing Method: Many sufferers absolutely swear by this one! The buteyko breathing method works exceptionally well for reducing the wheezing and constricted breathing caused by an asthma attack. It was first developed in the 1950’s by Russian researcher, Professor K.P. Buteyko, and now over 50 years later it’s become a recognized treatment for asthma in the United Kingdom, Australia and Russia. This short YouTube video is an introduction to the Buteyko breathing method… Buteyko Breathing Exercise. If you do want to get the most out of this powerful method then we highly recommend you invest in the Buteyko Clinic Method DVD and CD by Patrick McKeown. This guy was trained under Professor Buteyko and knows this technique inside and out. You can find his CD and DVD here… Buteyko Clinique Method. You can also read some stories and testimonials from asthma suffers who’ve had success with this treatment here… Buteyko Breathing Method Success Stories. Quickly drinking one to two cups of tea or coffee when suffering an asthma attack is an old folk remedy for asthma that almost instantly makes breathing easier. But what many sufferers aren’t aware of is that drinking 2-3 cups of tea every day will actually help to keep their asthma symptoms almost permanently subdued. The caffeine in tea and coffee is the main ingredient which is responsible for providing the quick relief (caffeine is chemically related to theophylline, one of the standard medications for asthma), but with tea it goes even further. Green tea, and in particular, Matcha green tea, contains some of the most powerful antioxidants found in any plant on earth. Quercetin, L-theanine and the epigallocatechin flavonoid are the top three and have been proven to quickly relieve inflammation and provide long term relief from asthma attacks. You can use this stunning tea in smoothies, green tea lattes, iced green teas or as a normal tea. If you haven’t heard of it, here’s what Matcha green tea is… Matcha green tea. Coconut Oil: Coconut oil is an excellent anti-inflammatory, anti-bacterial, anti-viral and antifungal wonder food. The main reason it works so well for preventing and treating asthma is the lung surfactant which is secreted by the epithelial tissues is almost solely composed of a substance called palmitic acid. Coconut oil contains around 9% palmitic acid, so it replenishes the supply of this vital substance to keep the lungs healthy and working in tip top condition. Coconut oil also helps to naturally rebuild the tissues that are damaged by the wear and tear asthma has on the body. Adults should consume anywhere from 2 up to 5 tablespoons a day of organic virgin coconut oil. Small children and toddlers should have around ½ to 1 tablespoon per day and older kids around 2 tablespoons. Teenagers can have the same as an adult. It’s important to remember that you can’t really overdose on coconut oil so there’s no “perfect” guideline. If you do happen to have too much, the only side effect you may end up with is a small dose of the runs. Nothing to be too concerned about. 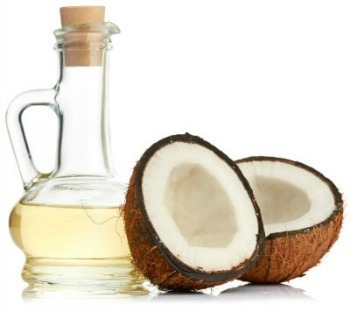 Coconut oil is also terrific for oil pulling. According to coconut oil expert, Dr Bruce Fife, there’s a definite link between fluoride build up and bacteria in the mouth and the aggravation of asthma symptoms. So doing regular oil pulling is a very powerful way to remove fluoride and toxic bacteria from the body and prevent asthma attacks. And the good thing about oil pulling is the kids can easily do it too! · Put 1-2 teaspoons of organic raw virgin coconut oil in your mouth. · Swish this around for 15-20 minutes (this is how long Dr Fife says you need to break up and remove the plaque and bacteria, along with fluoride, but it’s not too long that the body will start to re-absorb the toxins and bacteria). You will find that the oil will become thicker and milky as it gets mixed with your saliva. · After 15-20 minutes, spit the oil into the waste. Make sure you don’t swallow any of the oil as it will be full of toxins, heavy metals and bacteria. · Rinse your mouth well afterward with warm water, preferably warm salty water. · Brush your teeth using a natural tooth paste that doesn’t contain fluoride. For best results, try and do oil pulling 1-3 times a day and make sure it’s done on an empty stomach (first thing in the morning is best). When the stomach is empty, this triggers the full release of enzyme-containing saliva. These enzymes are what pull the toxins and bacteria out of the blood and lymph fluids. Dietary Changes: What you eat and don’t eat for preventing and curing asthma is extremely crucial. Any doctor who says that diet has nothing to do with asthma is living in la la land. The evidence on this one is overwhelming. Not just the research evidence, but the real life evidence as well. Every single asthma sufferer who goes on a proper, clean eating regimen will find an improvement in their symptoms… some an astonishing improvement! The treatment group were given the FVFP supplement daily while the control group were given a placebo. Participants were evaluated at the start, then again at 8 weeks and 16 weeks. According to the research summary… "Results showed the treatment group experienced significant improvement in pulmonary function parameters and had a significantly reduced proportion of those using short-acting inhaled bronchodilators and inhaled corticosteroids, in comparison to the placebo group. Results suggest that FVFP supplements may reduce medication use and improve pulmonary function in asthmatic children." Now even though these studies were solely targeted at kids, there’s no reason why the results wouldn’t be equally the same for adult asthmatics. In fact, because most adult bodies have been exposed to more pollutants and “use and abuse” for a longer period of time compared to children, the results would probably be even better! So eating plenty of fresh fruits and green leafy vegetables, along with beans, nuts, and seeds such as chia, pumpkin, hemp and sesame seeds is essential for not only helping control your asthma, but for eventually ridding yourself of this problem. Orange and red colored fruits and vegetables in particular are rich in beta-carotene (and therefore vitamin A) so be sure to eat lots of these. Green leafy vegetables are rich in folate, which has been found in studies to reduce wheezing in asthmatics by 40%. Broccoli is high in a substance called sulforaphane, which helps to block the detrimental effects of air pollution and make breathing easier for asthmatics. A study of 68,000 women also showed that those who ate tomatoes, carrots and leafy greens had much lower rates of asthma than women who didn’t, so make sure you include plenty of these in your diet as well. Processed dairy foods are definitely the worst for all asthmatics and allergy sufferers. These “man wrecked” disaster foods cause excessive mucous and phlegm build up in the lungs, particularly in the bronchial tubes. So this one is a no-brainer! You must start right now and cut out ALL dairy foods completely from your diet (or your child’s diet). If you do, by this time next week you’ll find yourself breathing better and easier than you have in a very long time. Hidden food allergies can also spark an asthma attack, so wheat, soy, and certain nuts should be cut from the diet as well (be aware that these foods can be cleverly disguised on labels as hydrolyzed vegetable protein, starch, lecithin, and vegetable oil). In addition, refined sugars, yeast (especially from beer, wine and bread) food preservatives and colouring’s (MSG, yellow food dye, sulfites and sulfur dioxide are some of the worst), and omega-6 oils from vegetable oils such as corn, soy, sunflower, safflower, Crisco, etc, will all exacerbate asthma and breathing problems like nothing else, so try and avoid these if you can. And of course, all fried foods, take away foods and fast foods must be eliminated. You may have read where exercise can actually trigger an asthma attack. This information is somewhat exaggerated. If you exercise and push yourself to the point of physical exhaustion (where you can hardly breathe and feel like you’re about to vomit), then yes, you can certainly bring on an asthma attack. But doing some light to moderate exercise actually helps to reduce asthma symptoms and attacks by strengthening the lungs, along with assisting in weight loss. Swimming is the best form of exercise for asthmatics (how many professional and Olympic swimmers first started doing swimming to help with their asthma? ), but cycling, weight training and brisk walking are also good options. The goal is to start off slow and build up over a period of weeks and even months. You only need to get “huffy and puffy” for around 40 minutes a day, 4-5 times a week for this to work. You should get to a level where you’re puffing but could still carry on a conversation if you had to. By sticking to an exercise routine and making it part of your lifestyle, you’ll not only help improve your asthma, you’ll feel much healthier and have loads more energy as well! Avoid Stress: Stress doesn’t just increase your chance of an asthma attack, it can increase your chance of dying! (Stress does literally kill). If stress is a major factor in your life and its exacerbating your asthma (stress causes shallow and rapid breathing that constricts the airways), finding ways to relax is imperative. Doing some regular Yoga, meditation or Tai Chi, along with receiving regular massages, are all great ways to relax and unwind, especially at the end of a hard day. Limit Exposure to Dust and Dust Mites: Dust and dust mites are one of the most common triggers for asthma attacks and allergies, so doing what you can to maintain a clean house free from these unwanted invaders will definitely help to keep you breathing easier. Avoid Humidity: Hot and humid weather and poor quality air isn’t good for asthma sufferers. If you live in a humid climate, look at getting yourself a dehumidifier if need be. Also try and avoid exposure to varying temperatures within a short period of time as this can worsen asthma symptoms. Stay Away From Animals (Dander): If you’re an animal lover then this one’s going to be hard. Pet dander, particles of hair, fur, feathers, and saliva are common triggers for asthma. If you’re not willing to part with your beloved pet then doing your best to at least reduce the amount of dander by regularly washing and grooming your pet (and washing your hands and face after touching them) is the next best option. Whatever you do though, be sure to keep your furry little friend out of the bedroom and away from your bed linen. Avoid Cigarette Smoke: This is another common trigger for asthma attacks. Smoke of any kind irritates the lungs and symptoms such as coughing and wheezing become much worse when exposed to smoke, especially cigarette smoke. Roach the Roaches. Cockroaches produce toxic substances that cause allergic reactions in people with asthma, and in babies and small children, it makes them cough and wheeze even more. So it’s vital that you try and eliminate all cockroaches from the home. Well, that ends this article on natural and home remedies for asthma. 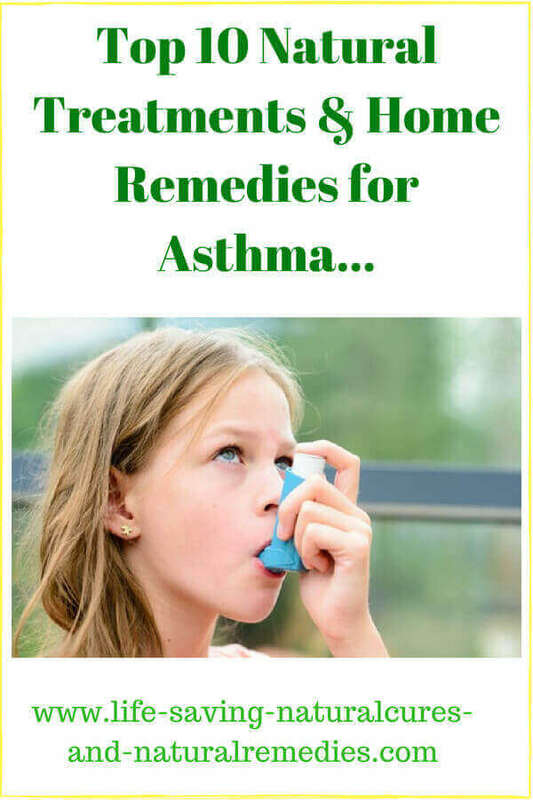 We definitely feel that this is one of the most complete articles on natural treatments and natural ways to reverse asthma (no matter what type) that you’ll come across. For best results, try and use and utilize as many of the remedies and recommendations we’ve listed. Of course, you may need to experiment with some of them. What works for one person doesn’t always necessarily work for another. But we are confident that if you at least use and stick to the main ones, you’ll find your asthma and allergies (or your child’s) will disappear completely within 6-8 weeks. Consistency is the key though. So what you waiting for? Get going and finally get rid of that asthma once and for all! You’re not going to know yourself once you do.